A true legend of the darts stage. 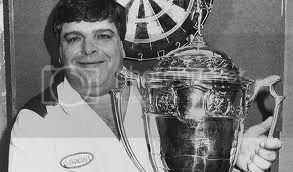 Those were the days of darts,Jocky,Bristow ,Bobby George and all the others. You did your bit for Scotland wee man. Did remind me though of the time Dexy's Midnight Runners were on TOTP performing 'Jackie Wilson Said' and the BBC unbelievably put up a photo of Jocky Wilson instead!! Watched it at the time and couldn't believe it!! !